This is a special month for maniccomics.com. On November 22nd we will be celebrating our 1st birthday. This has been a been a good year, we’ve gotten over 50 thousand visitors from over 100 countries. 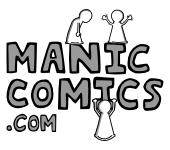 Thank you all for visiting maniccomics.com and stay tuned for a special birthday strip that will be posted on November 22nd. Now I’ve had the Wacom Bamboo tablet for little over two weeks and I have been experimenting with all kinds of settings. My conclusion is that digital painting with the tablet is a lot of fun, but I have not been able to use the tablet as well in my comic. I have been testing the tablet with Photoshop and Illustrator, and I must say that I haven’t gotten a hold on the brushes which is my own fault since I tend to have shaky hands, which makes it difficult to draw with regular brushes in Photoshop and Illustrator. There is a Calligraphic brush set in that automatically smoothes your line which is very nice except that it adapts too much. For example, if you draw a box the box almost turns into a circle. There is probably some configuration I need to find but I haven’t had any luck finding it. 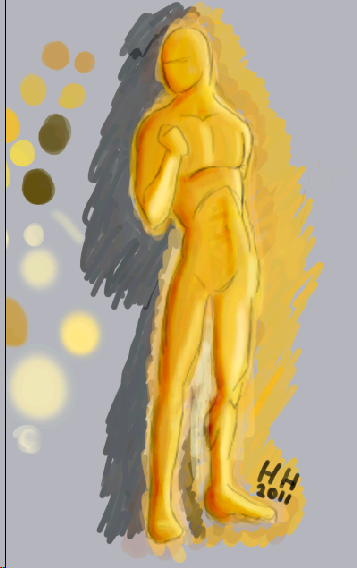 I enjoy drawing on the tablet and it will take a lot of practice to develop some skills.